Egypt on Friday won a bid to host the African Space Agency (AfSA), an African Union body. In an official statement, Egypt’s foreign ministry spokesman Ahmed Hafez said African leaders, including Egyptian President Abde-Fattah El-Sisi, are set to ratify the decision by the AU’s executive committee during their meeting on 11 February at the 32nd AU summit. Hafez said the decision came as a coronation of the efforts exerted by the foreign ministry and the ministry of higher education and scientific research to promote the Egyptian bid and present Egypt’s technical capabilities. Egypt also presented its readiness to serve African developmental goals, helping it become a nominee for competing countries seeking to host the agency with Nigeria and Ethiopia. Established in 2016 by the AU, AfSA is an African initiative dedicated to promoting, advising and coordinating the development and utilisation of space science and technology in Africa and associated regulations for the benefit of Africa and the world, and forging intra-African and international cooperation. 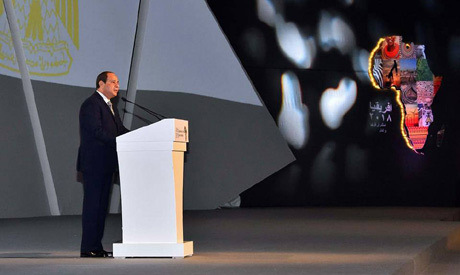 ‘‘Foreign Minister Sameh Shoukry was keen during his speech to affirm that Egypt’s happiness to host the agency came emerge from a complete confidence in the agency’s ability to serve the whole continent through remote sensing technology and space science to push with the efforts of national and regional African development under the Africa 2063 agenda,” the statement said. The 32nd African Union summit will be held on 10-11 February; during the meeting El Sisi will take over as the AU’s 2019 chairman.